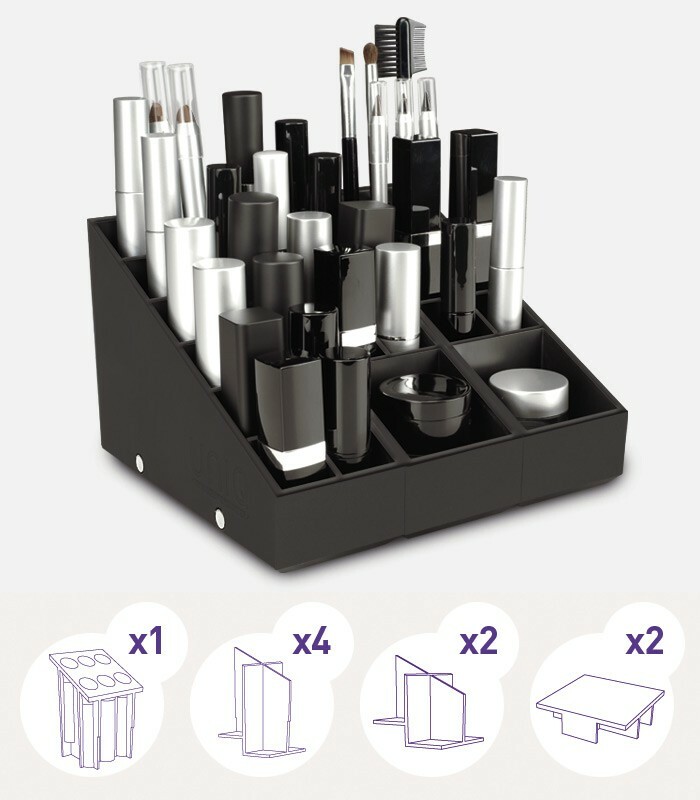 Makeup storage. 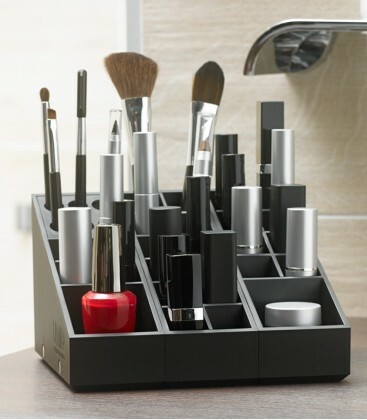 Organize at least 29 makeup products. 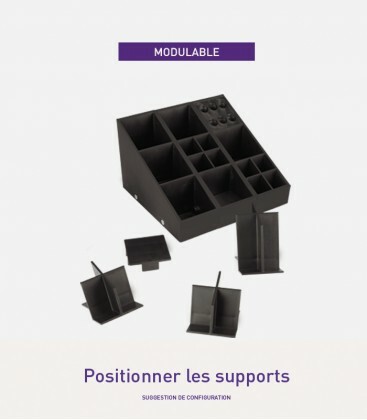 All components can be interchanged, added and removed, at any time. 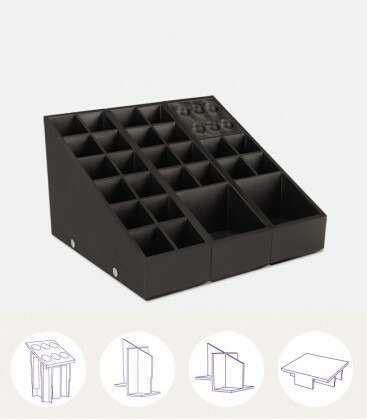 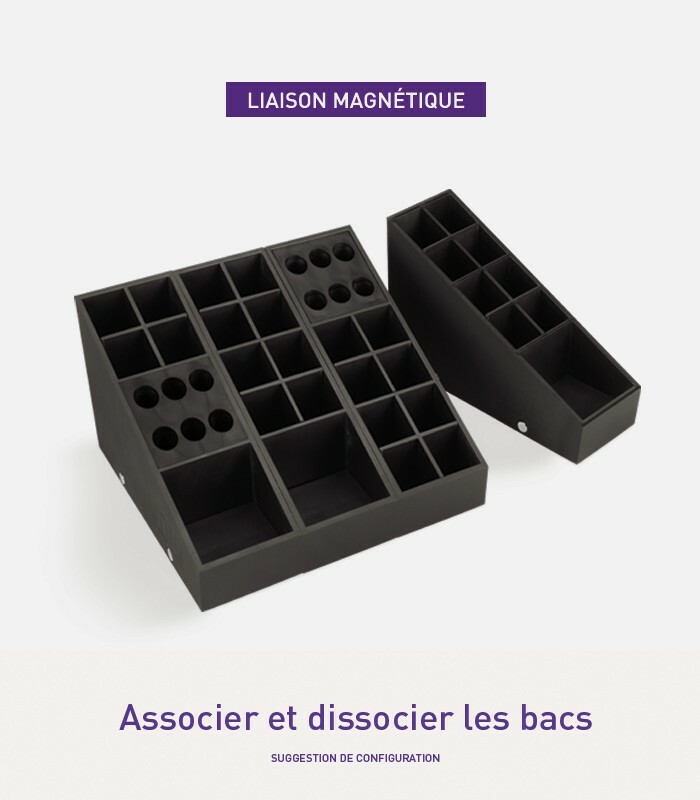 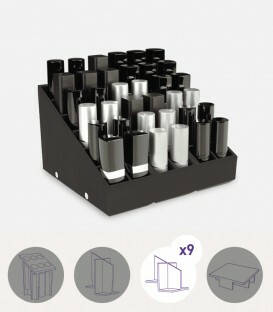 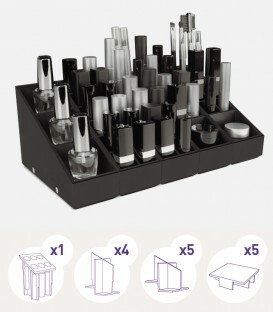 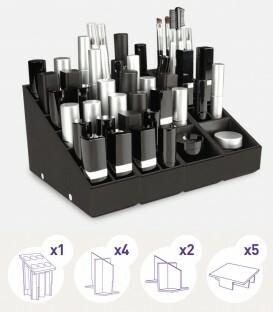 Pack of 1 Face storage unit, 1 Lips storage unit and 1 Eyes storage unit.